This is such an easy dish to make and is so delicious, I honestly don't know why I don't make it a lot more often. It is rich and full-bodied, but not as high in fat or calories as you might think. If you're really concerned about fat grams, you can always use a low-fat or no-fat sour cream, or even plain yogurt in its place. In a dish this flavorful, I doubt that you'd notice a difference. 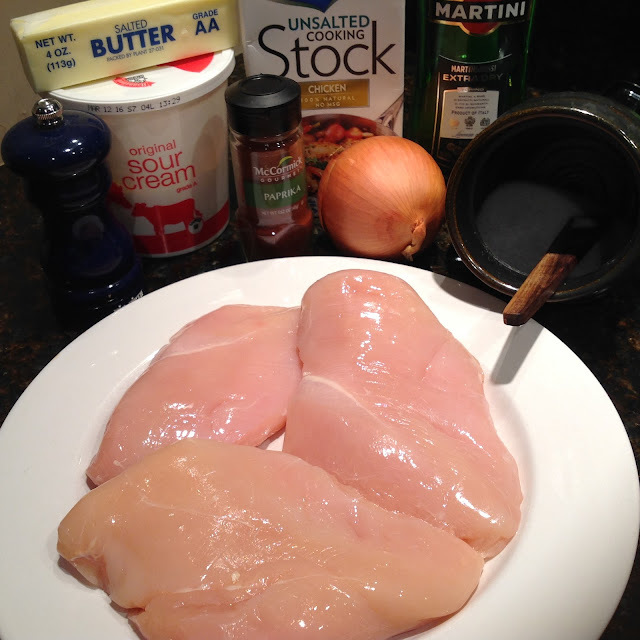 It's one of the hubber's favorite chicken dishes and let's face it... it's downright comfort food. 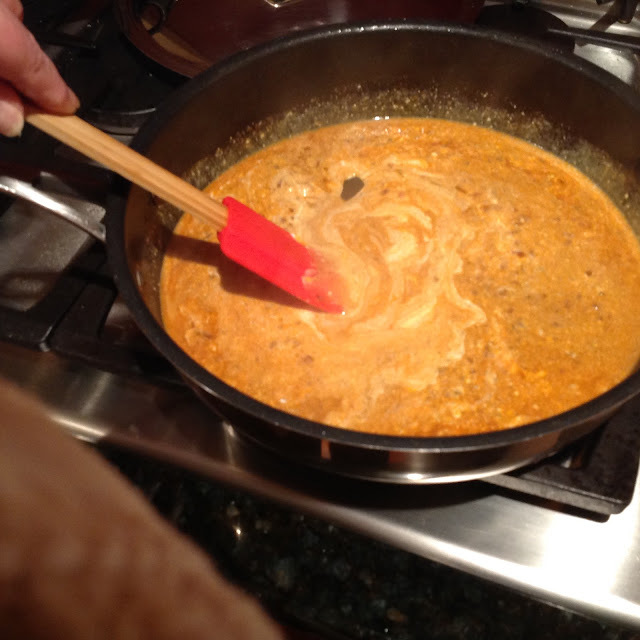 To be honest, I love just about anything that you can serve over buttered noodles or rice. I often think that love of "protein plus sauce over starch" could have a lot to do with my age and the era that I grew up in. The 60's and 70's were a transformational period in regard to women's roles in the family and it affected how they handled the day to day care and feeding of their families pretty dramatically. All of these new "career women" suddenly found themselves juggling the kids, the household duties and their newest responsibility... a job. Jobs took working moms out of the home for anywhere from a couple of hours to a full 9 to 5 day - but as fate would have it, something new and innovative sprung up out of these changes. 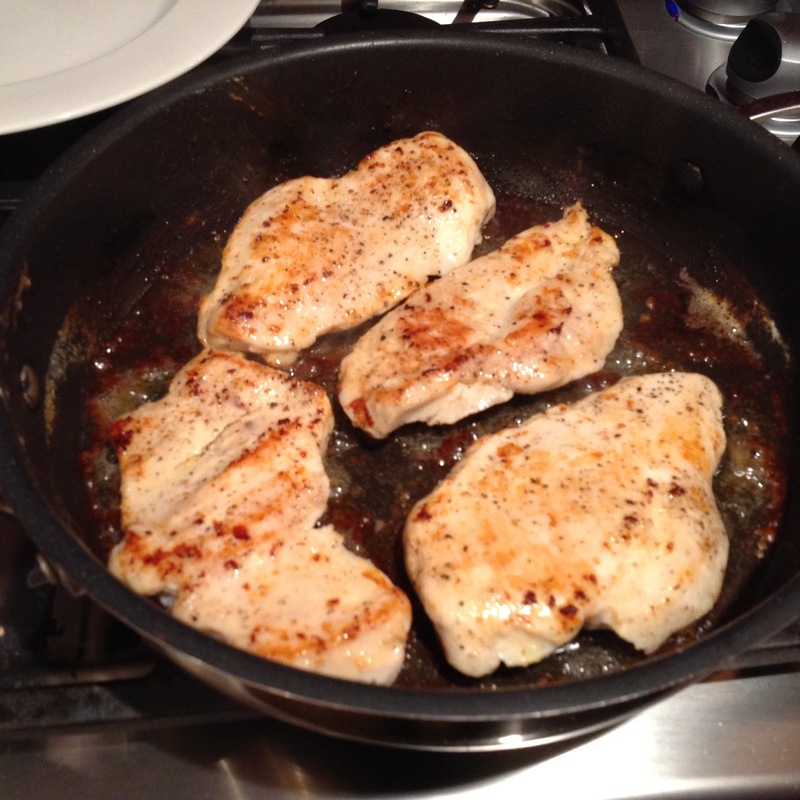 It was the foundation of the concept of "quick and easy weeknight cooking". New ideas from brands like Betty Crocker and Campbell's Soup company allowed women to be able to toss a handful of pantry staples together and pour them all into a buttered baking dish (or a bit later on a crockpot), which helped to free up a lot of precious time for moms who were either going back to school, into the workforce or just beginning to work outside of the home. As buttered noodles and rice and one of the newest sensations, "instant potatoes" became the base for all kinds of oven-baked casseroles and crock-pot concoctions, women gained more time to pursue a career, attend those PTA & scout troop meetings or the kid's sporting events and still know they were feeding their families a hearty, tasty and usually pretty affordable meal. You can certainly serve rice or mashed potatoes with this dish, but the usual or traditional Hungarian accompaniment for many meat dishes is generally served with spätzle, a noodle-like dumpling that has been a traditional staple for centuries in countries like Hungary, Germany, Austria, Switzerland, etc. 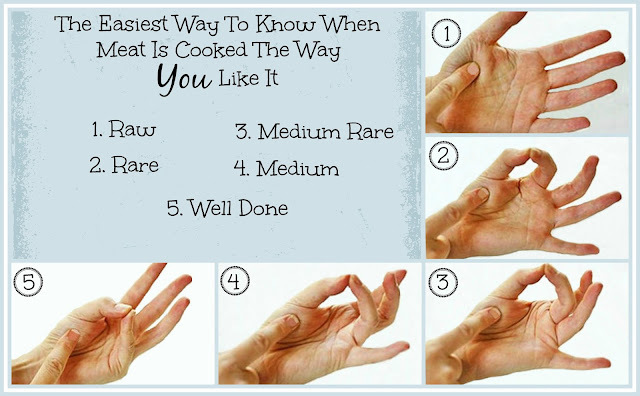 It also happens to be a particular favorite of mine, but I have yet to attempt it in my own kitchen. 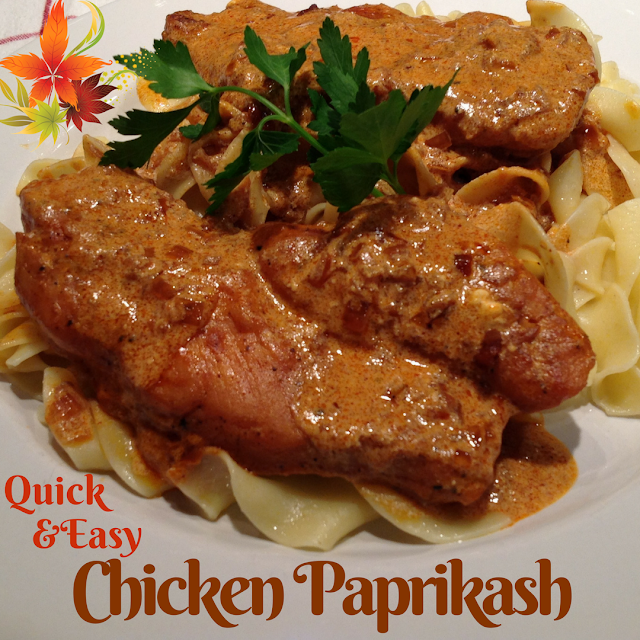 One of the best parts about Paprikash is that it has only a few ingredients that are readily available and with the pretty consistent weekly sales that we see these days on chicken in most local grocery chains, it can be quite affordable. The recipe is quick and easy and most important of all, it really is delicious! Remember to always do your prep work first. It saves so much on time and it helps you coordinate your main dish and your sides, so it's more likely that everything will be ready at the same time. 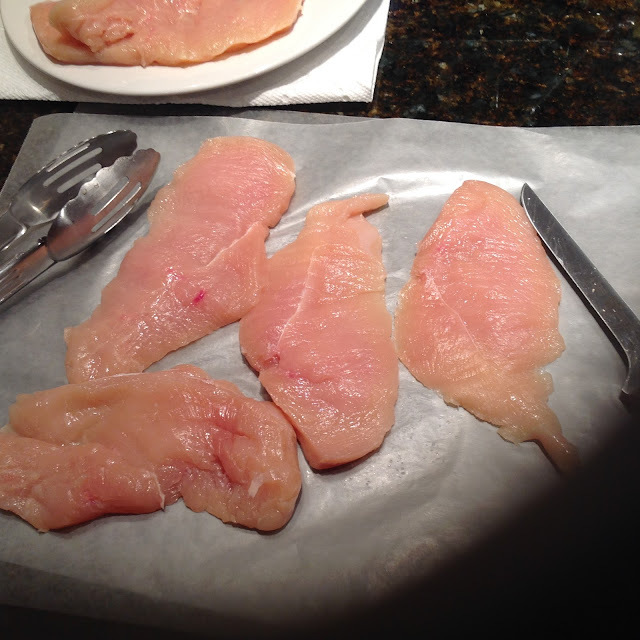 Season the chicken breasts on both sides with salt & pepper. 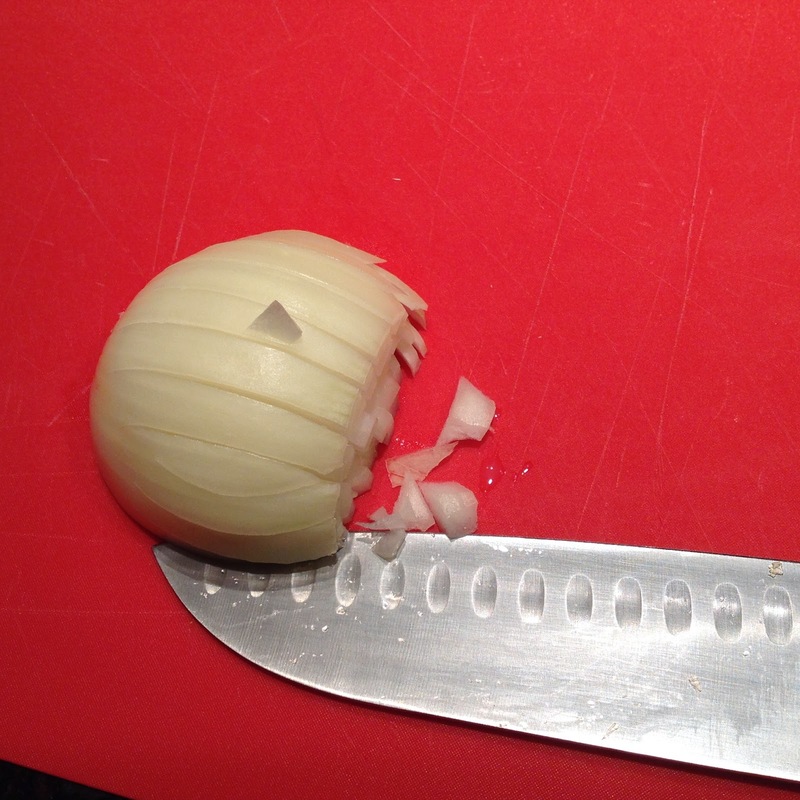 Peel and chop the onion pretty finely. 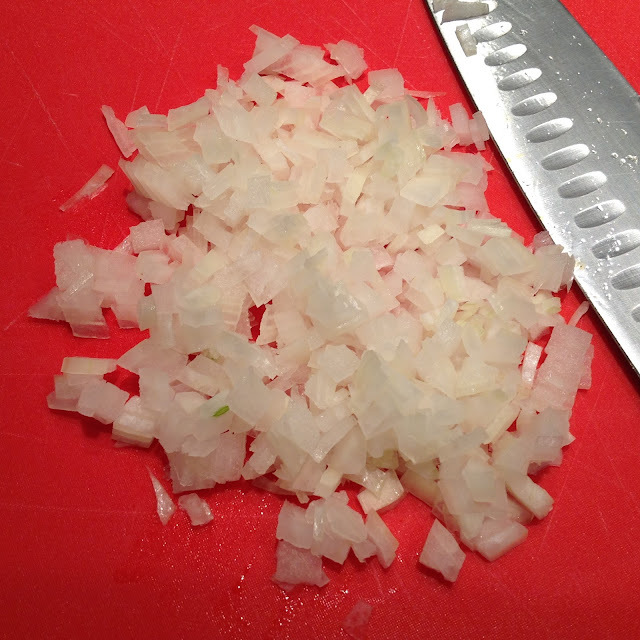 It's OK if you don't end up with perfectly symmetrical cubes of onion like the professional chefs do. 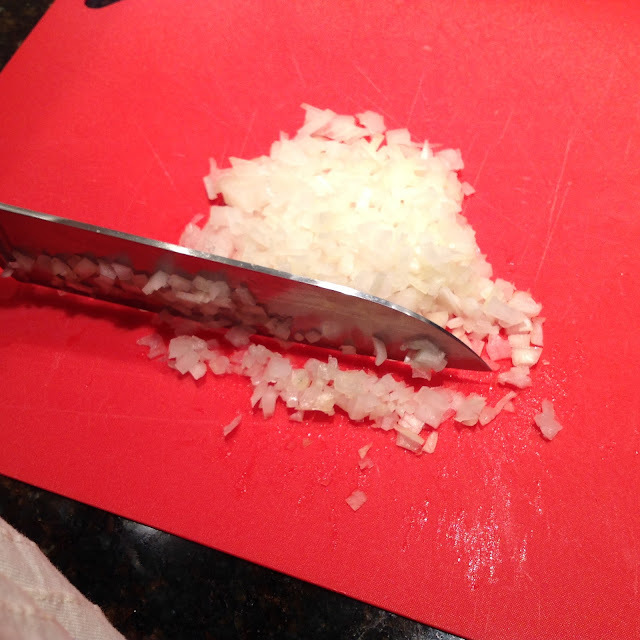 Just try to keep the pieces as close in size as you can to ensure even cooking. I'll do a small dice to start and then I'll reduce the dice even more to get the size that I'm looking for. 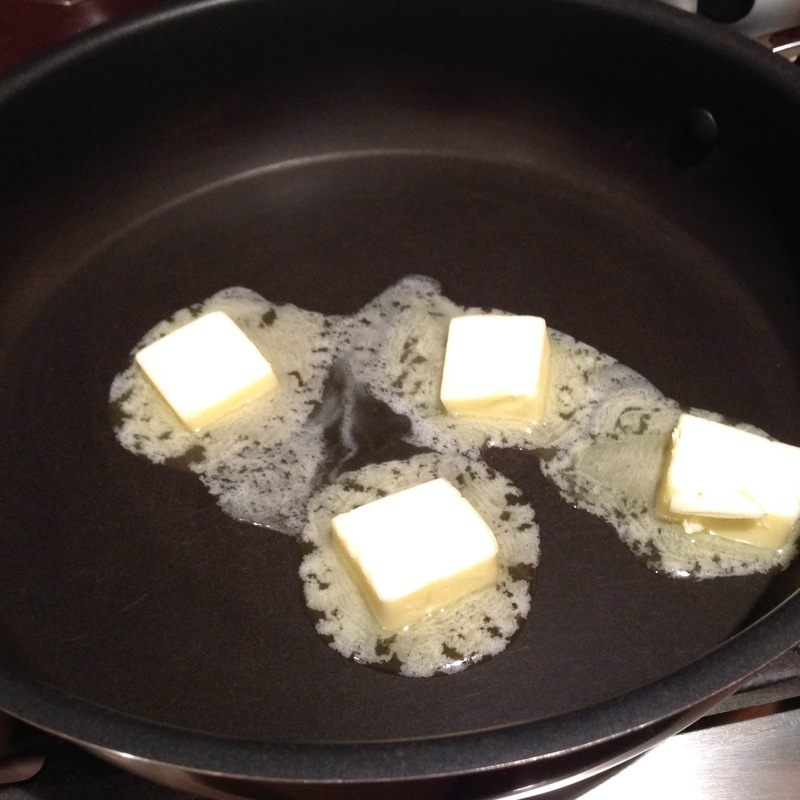 You can start with 2 tablespoons of butter to saute the chicken and save the other 2 tablespoons as needed to cook your second batch and your onions, but I just throw it all in at once and I usually have plenty of butter left in the pan to take me the whole way through. 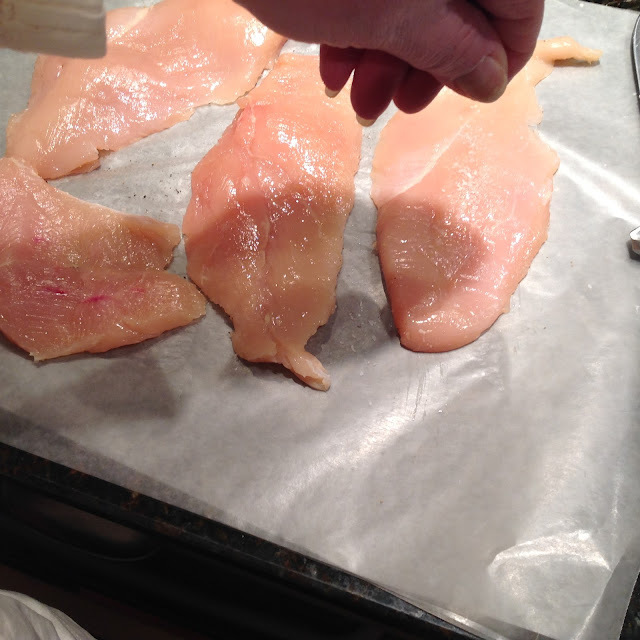 Once it's golden brown, remove chicken to a plate and set it aside. Add your onions to the same pan and saute' them over medium to medium-high heat until they're just translucent. 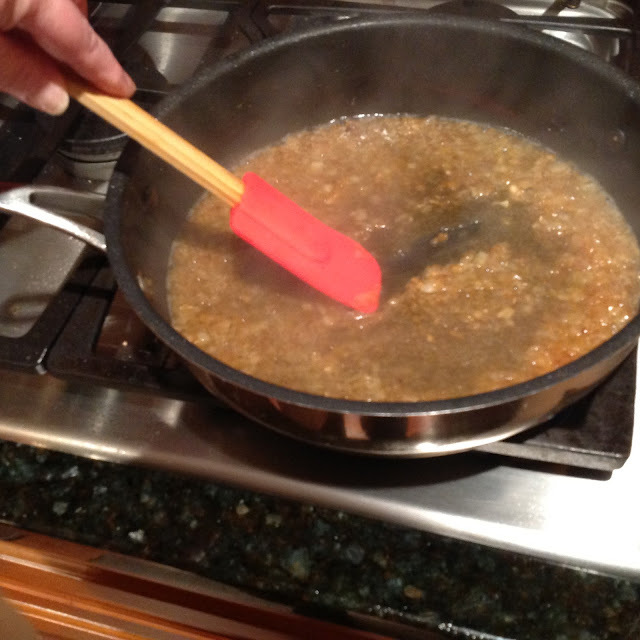 Stir the onions frequently to prevent them from browning too much and scrape up the brown bits (the French call this fond) on the bottom of the pan. 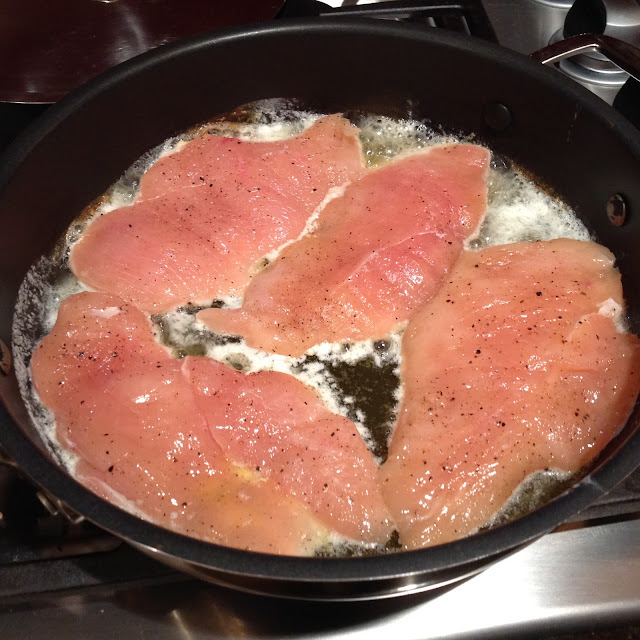 You probably won't need to add any more butter after removing the chicken, but if you find the pan to be a bit dry, just add another teaspoon or two of butter - or even a bit of light olive or vegetable oil. 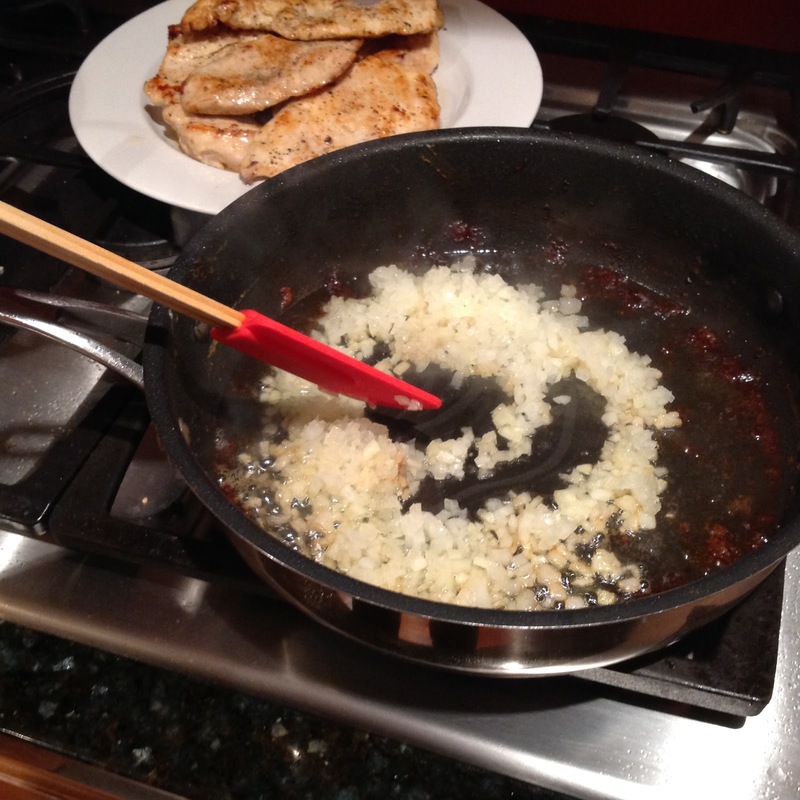 When the onions are translucent, pour in the wine or vermouth and stir very well, scraping up any remaining brown bits from the bottom of the pan. There's a lot of flavor in that fond! You don't want the wine/vermouth to reduce too much at this point. One to two minutes at the most should be long enough before moving on to the next step. 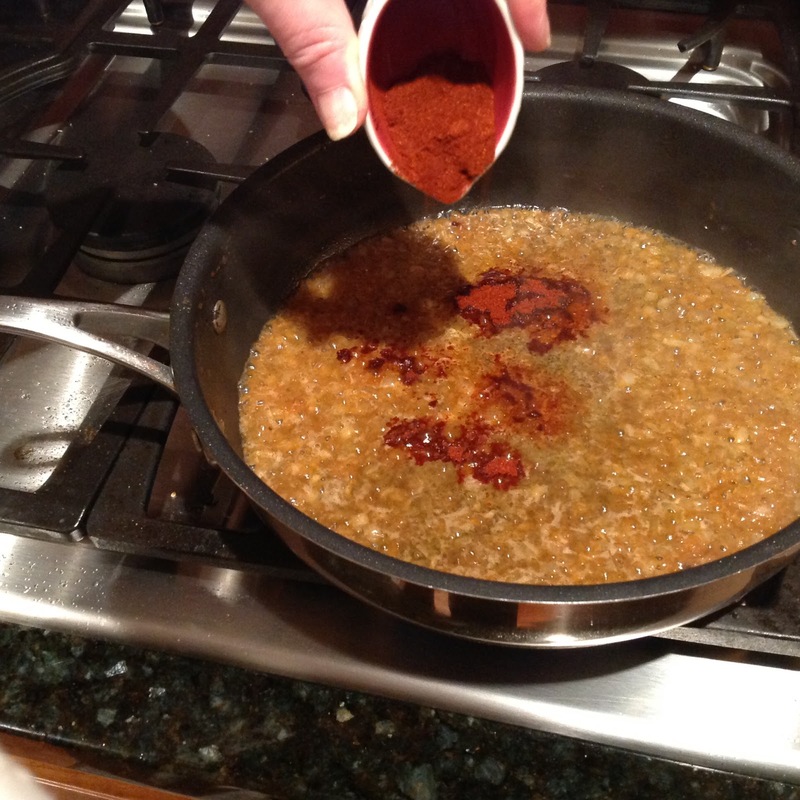 Add in the Sweet Hungarian Paprika and stir well to combine. The original brand that we've purchased for years had only the word "Szeged" at the top of the tin and underneath it, the words "Sweet (or Hot) Hungarian Paprika". It also said right on the tin that it was imported from Hungary. 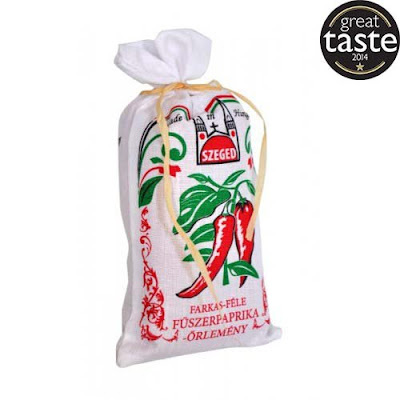 Authentic Hungarian paprika is made from drying and then grinding high quality sweet or hot Hungarian grown bell peppers into a powder, with nothing else (like fillers or preservatives) added. Our brand mysteriously disappeared from the grocery store shelves a few years ago and for quite a while we've had to resort to buying slightly higher-end American made brands, such as McCormick. 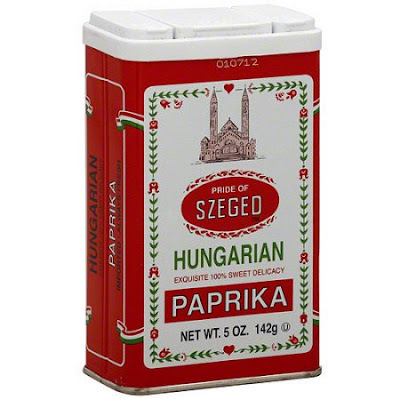 There is a particular brand that has shown up recently on Amazon and in several grocery chains and WalMart that's called Pride of Szeged (below), but there's been some controversy surrounding this brand because it doesn't say anywhere on the tin that its imported from Hungary. The tin looks very similar to the "authentic" brand, but having used that one for many years, we can tell that this doesn't taste quite the same or have the same fresh sweet bell pepper aroma of the original. They also tend to charge the same slightly higher price as the imported stuff and if I'm not getting the "real deal" then I have no desire to spend the extra cash on it. Anyway.... Let's get on with this recipe, shall we? Add the chicken pieces (and any juices that have accumulated on the plate - lots of flavor in those juices, folks - back to the pan and turn it several times to coat it thoroughly with the onions, the wine and the paprika. 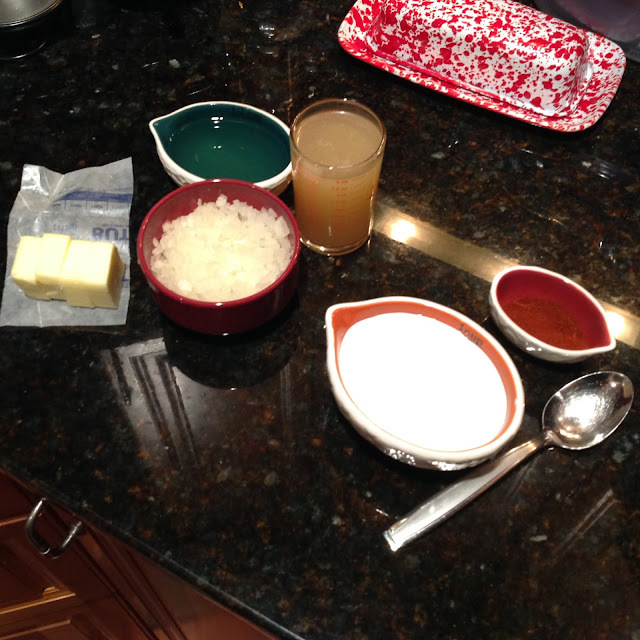 Pour in the chicken stock and continue to turn the chicken over a few more times to coat it with the sauce again. Add your noodles to your boiling water and cook according to the package directions. 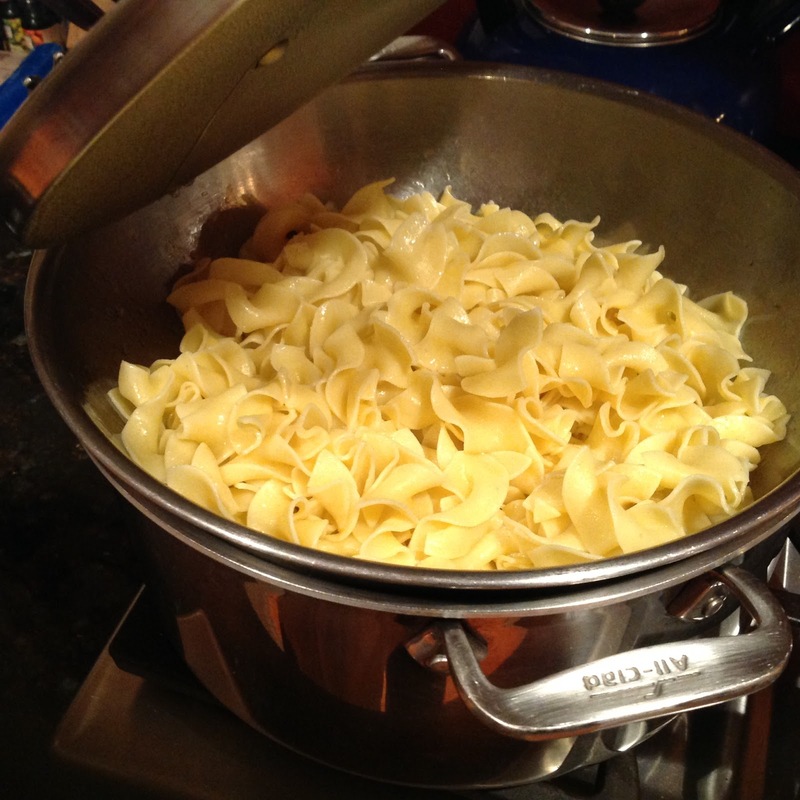 We like our egg noodles the same way that we like all types of pasta... al dente'. 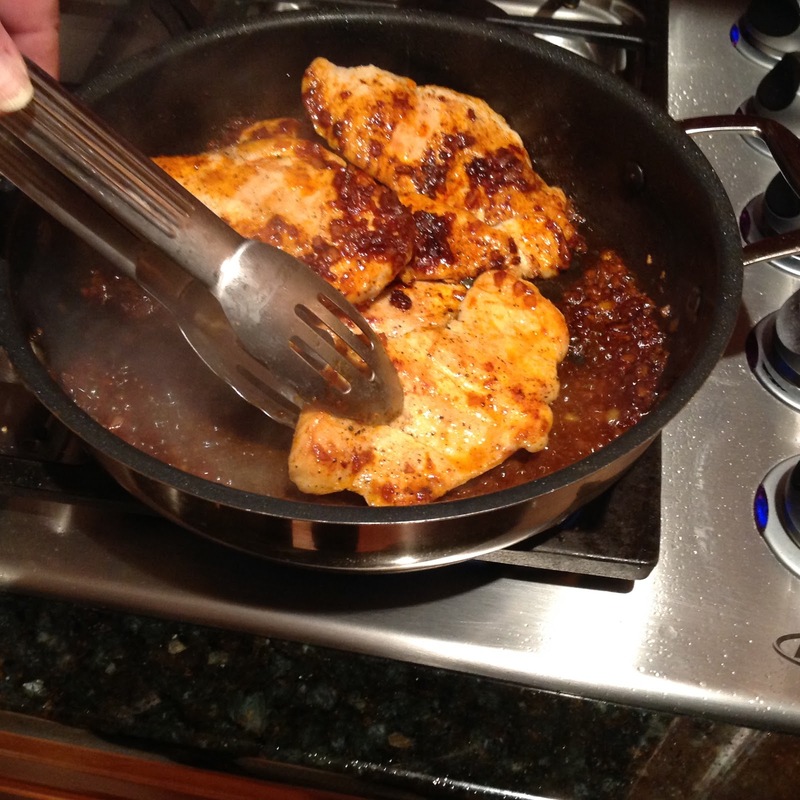 Let the chicken simmer in the sauce for 2 to 3 more minutes to allow it to finish cooking thoroughly. 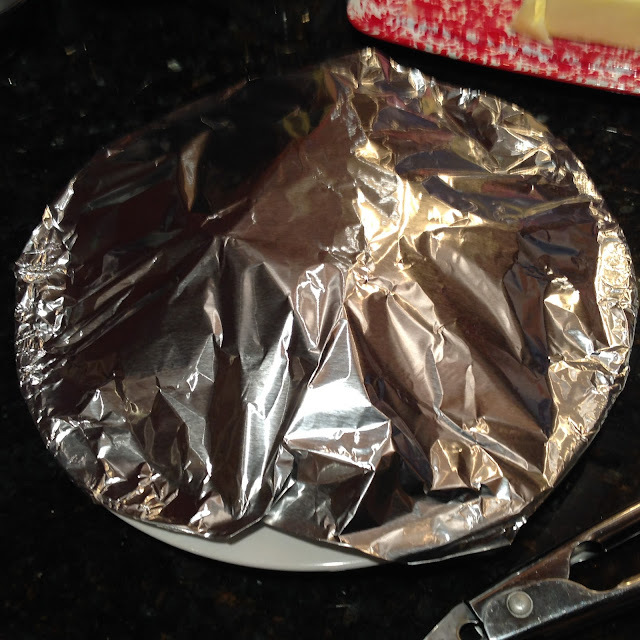 Remove the chicken to the plate again and cover it with a bit of foil to keep it nice and warm while you're finishing the sauce. 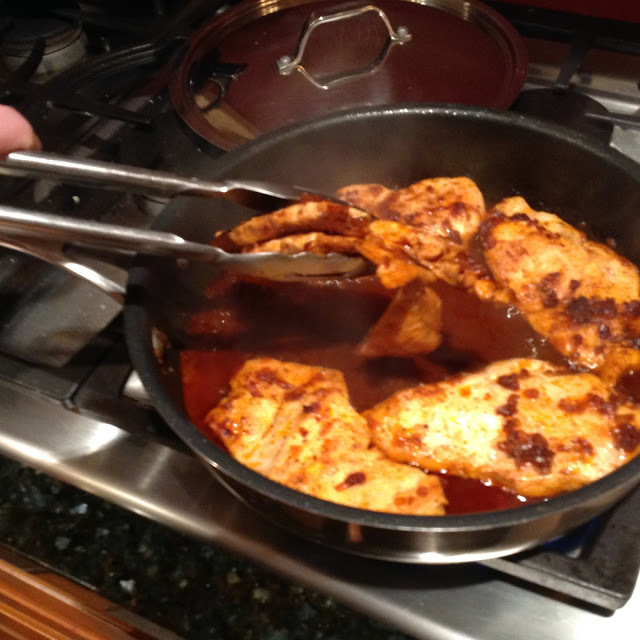 Making sure that your heat is no higher than medium, add in the sour cream and stir in with a spatula or a whisk to combine it completely. 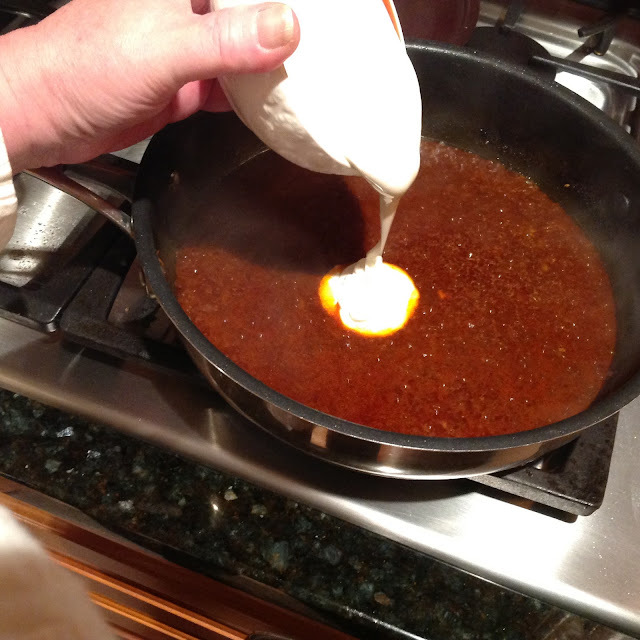 You generally don't want to boil a sauce that has sour cream or yogurt in it. This can cause the sauce to separate. You want the sauce to be a solid coral/rusty red shade, without any streaks of white left in it. 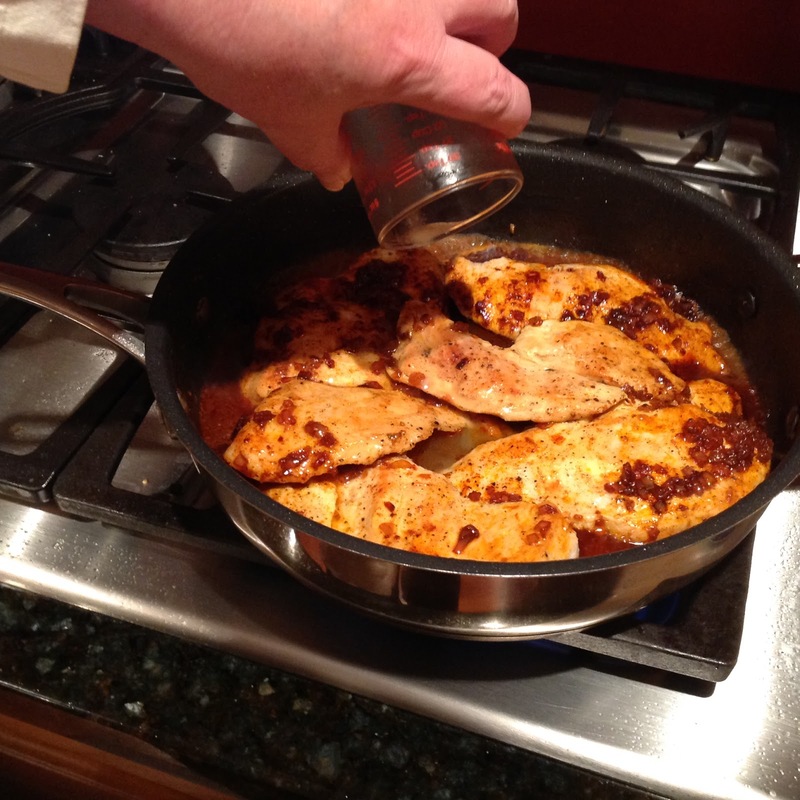 Once the sauce is fully combined, add the chicken pieces back to the pan (don't forget those juices from the plate!) 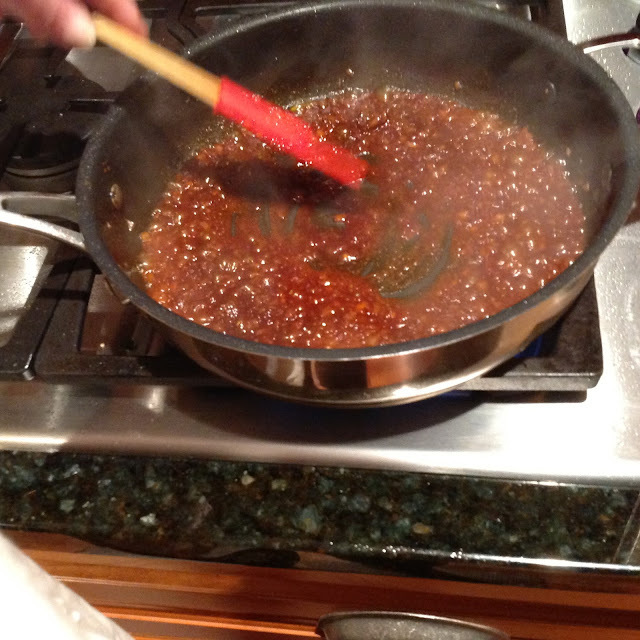 and turn it a few times to coat it well with the sauce. 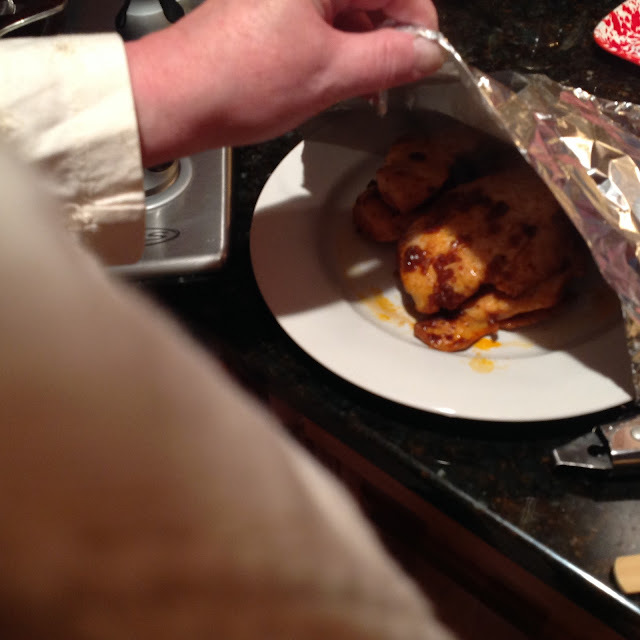 You can also spoon some of the sauce over the chicken to coat it thoroughly. You can't really tell from the photo, but there were a few tiny bubbles in the sauce popping up here and there as it was coming back up to temperature up after the addition of the sour cream. This isn't going to hurt the sauce at this point. 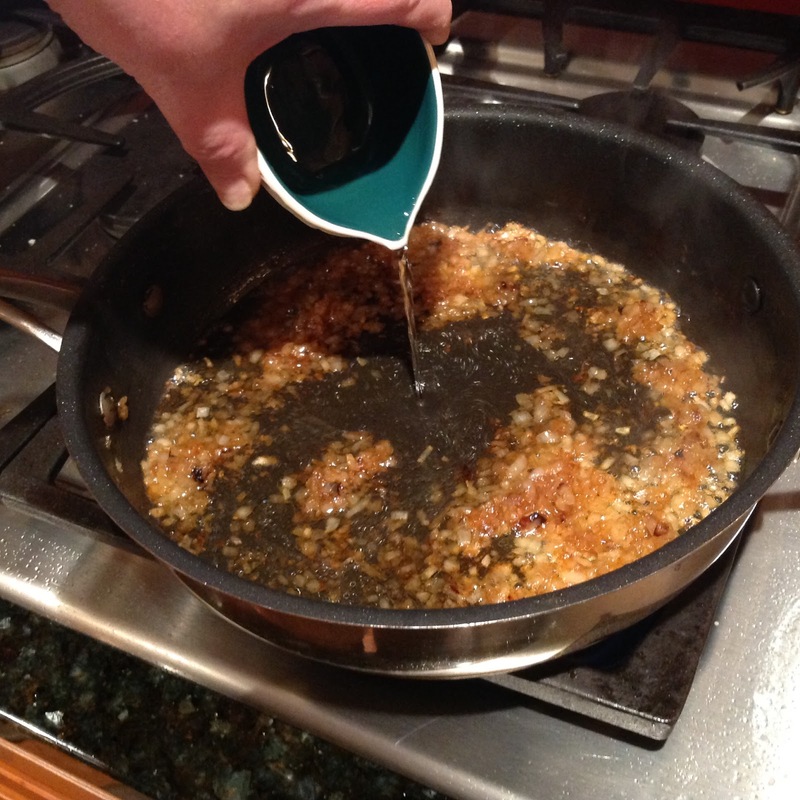 Just be sure to turn the heat down a bit more if the bubbling starts to increase. 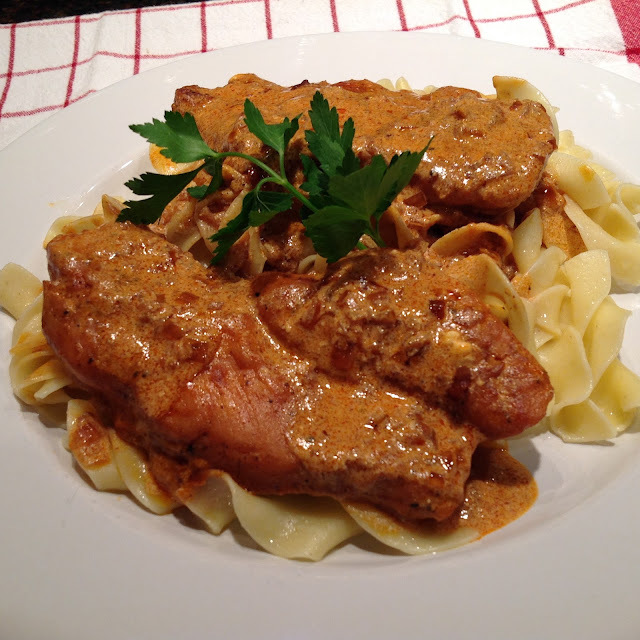 How you serve the finished Paprikash is totally up to you. You can plate up your noodles and chicken individually or you can arrange everything on a large deep platter if you prefer and serve it "family style" at the table. 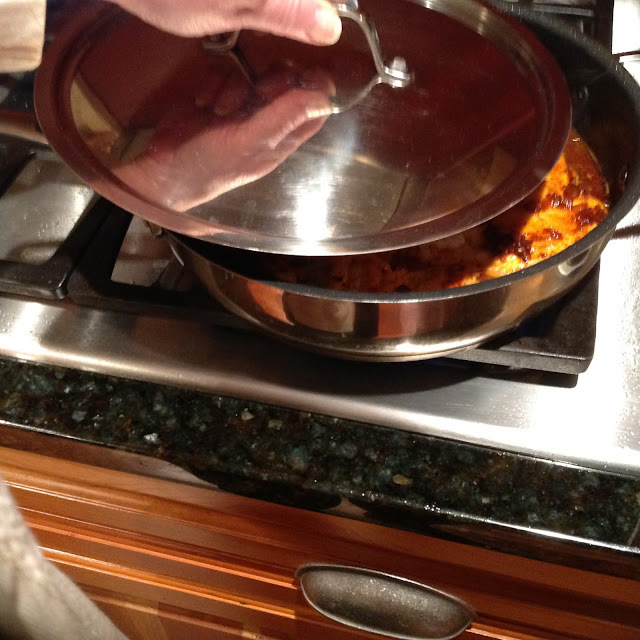 Just make sure to spoon plenty of the delicious sauce over everything and if there's any left in the pan, be sure to pour it into a small bowl or pitcher to pass at the table. Serve your masterpiece right away while it's piping hot and of course... enjoy! I’m going to give this a try. I remember Goldie Hawn’s character making Chicken Paprika in the movie “Seems Like Old Times”. I remember thinking it sounded good and wanting to try it then. 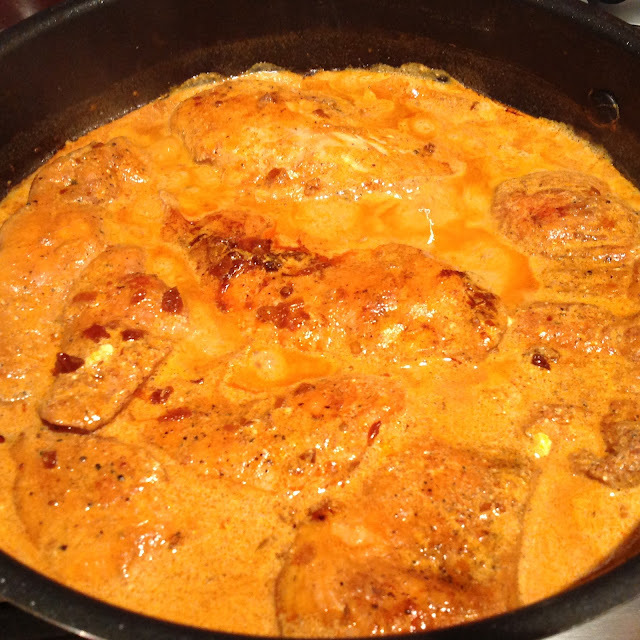 I have some good Hungarian paprika I recently bought at a specialty store, so maybe this weekend. Hope all is well with you!